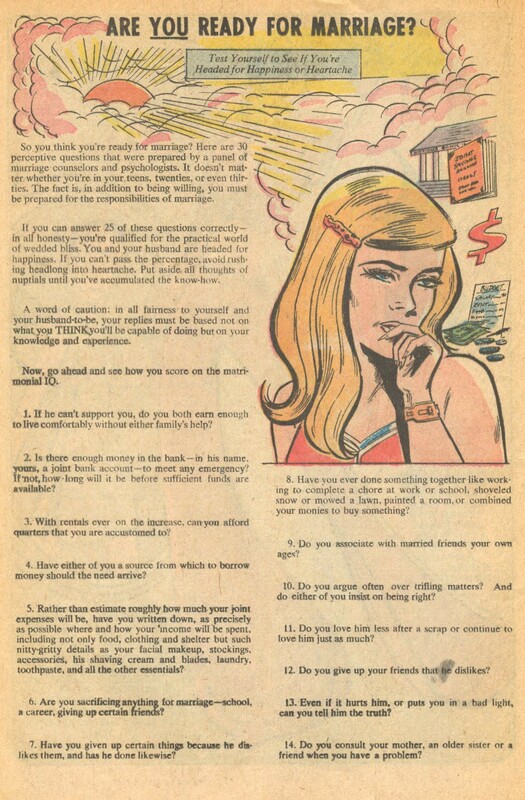 The awesome vintage-romance-comic-book blog (!) 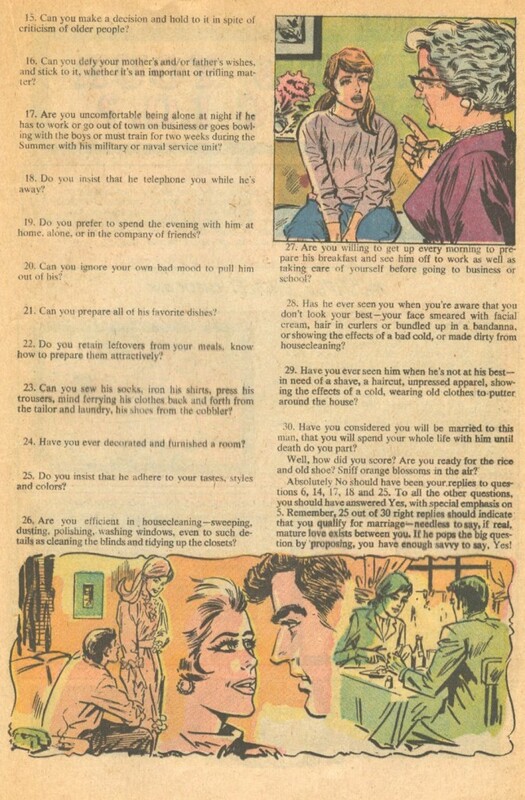 Sequential Crush unearthed this cute 1970 guide to determining whether you’re “headed for happiness or heartache.” Has he ever seen you in clothes made dirty from housecleaning? Do you give up your friends that he dislikes? Do you retain leftovers from your meals and know how to prepare them attractively? Twenty-five out of 30 “right” means you’re good to go. Good luck, girl!